For this #ManiMonday I've decided to show you the mani I've got while I'm away in Japan. 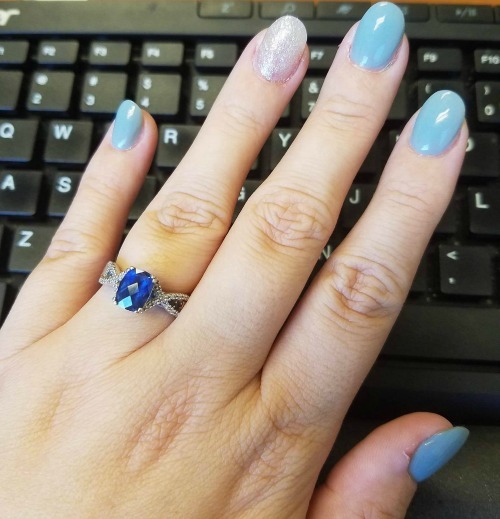 While I'm out of the country I chose a super muted blue/grey Essie polish and an awesome sparkly accent nail. I didn't want to do anything crazy for my vacation so that my nails would look polished and wouldn't stand out too much. Chris helped pick out the color and specifically requested 'pastels/muted colors'. I'm excited to be out of country and enjoying myself!